Be thankful that life is a mystery. There is much that we do not have to know in order to live joyfully. 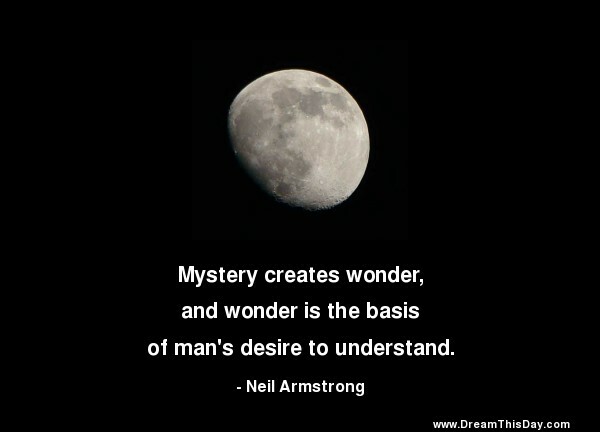 and wonder is the basis of man's desire to understand.